The Future Circular Collider (FCC), a study which involves University of Liverpool physicists, has launched a video `Science knows no borders’ celebrating the importance of international scientific collaboration. The FCC Study, hosted by CERN, is an international collaboration of more than 130 institutes from all over the world. It is developing designs for a higher performance particle collider to extend the research currently being conducted at the Large Hadron Collider (LHC), once the latter reaches the end of its lifespan. Liverpool physicists contribute to the future (potential) physics programme at the FCC, as well as to the development of key underpinning technologies via the accelerator science group at the Cockcroft Institute. The Large Hadron Collider (LHC) and the Deep Underground Neutrino Experiment (DUNE) experiments are other examples of how our physicists are working together with colleagues from around the world on the design, construction, operation and subsequent optimization of large scale facilities to fully exploit their discovery potential. If you watch closely you will spot the Victoria Building, a lecture theatre, the Central Teaching Laboratories, as well as specialised workshops in the Department of Physics. 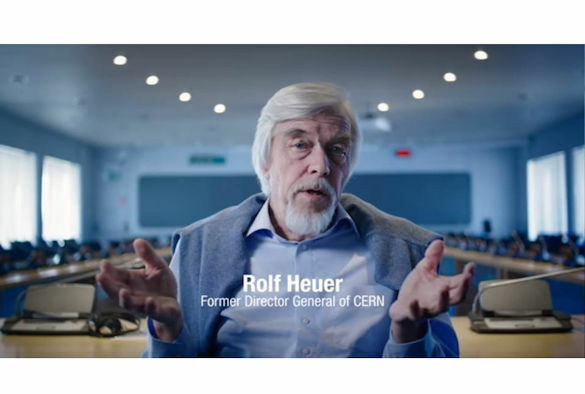 Professor Carsten Welsch, Head of the Department of Physics, said: “This film explains the importance of international collaboration using the FCC study as an example. “Open and international collaboration has enabled fantastic research results in the past and will be the basis for future breakthroughs.